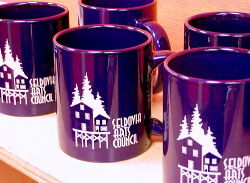 The Seldovia Arts Council needs your help if it is to continue to provide exciting arts events to the community. Sure, we get grants. But grants can’t cover the whole cost of a single event or a program season: our grantors need to see that the community supports our endeavors in the form of contributions of their own. And, really, we have to agree with them: why throw away their money on a community that doesn’t value their contributions enough to give back some of their own? So that means we are asking you to help us keep the arts alive in Seldovia. We need sponsors. We need general sponsors, who make donations of cash, housing, transportation, meals, or other in-kind services that support our programs. You may donate to our festival, our whole season, or you may sponsor a specific event. General sponsors receive our thanks on this webpage and in our concert announcements. Specific event sponsors have their names included in the specific event publicity: on the web, in print and other media, in the event programs and event announcements. 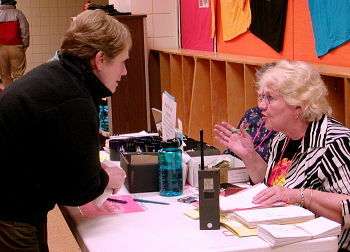 It’s a great way to get your name out there as a generous member of the community and patron the arts. If you can make a donation or would like to offer a sponsorship, please download and fill out the sponsorship form. Questions? Contact us at seldarts@gmail.com. Just because you don’t have the cash to help us out doesn’t mean you aren’t needed. We always need folks to help us out with events. We need help with picking up and driving our performers around town. We need help with publicity and planning. We need help staging events, both before and cleaning up afterwards. We need volunteers to house our artists, to help them to have fun while they’re in town, to offer to make and serve them a meal. Many of our specific tasks take only an hour or so. Surely you can spare that to help keep the great program season coming your way, year after year. If you can offer even a little time or help, please contact us at seldarts@gmail.com. The simplest way of all to help out the Arts Council is to take out an annual membership. Personal annual memberships are $15 and business annual memberships are $50. In addition to gaining a vote at our meetings, members receive a $1 discount on all event ticket prices. Business members also receive one free event ticket a year. Just download a copy of the membership form and send it, with your check, to the address included on the form. You can also join right at the gate for any of our events, so don’t let forgetting to print and mail the application stop you from knowing you’re helping to keep the arts alive in Seldovia. We depend on you for help.